Along with Elizabeth Taylor, Quincy Jones and Liza Minnelli, Diana Ross also bowed out of participating. 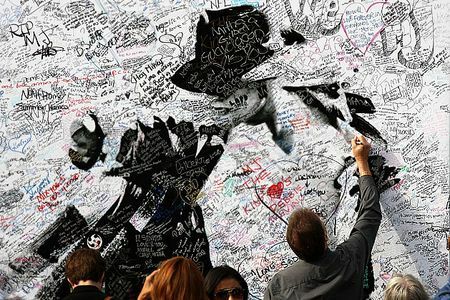 The entire highway was shut down to facilitate the transport of Jackson's body and the arrival of a fleet of A-listers. This was the largest public event in Los Angeles since the 1984 Olympics. Jackson's brothers were wearing his trademark single gloves. Sister Janet cut a striking figure of grief alongside her parents. 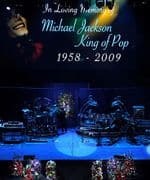 Fans were not above shouting out, "I love you Michael!" and other things through any lulls in the program. 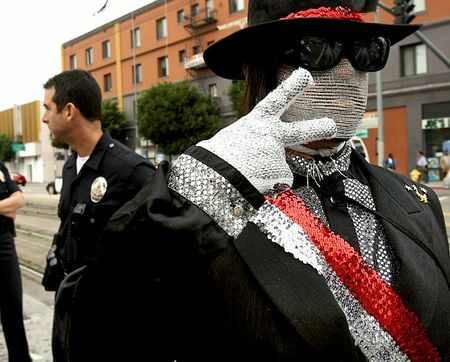 Corey Feldman arrived dressed like his former friend, just like he did when he was an adolescent. Mariah Carey performed an emotional (or overwrought, depending on your taste) version of "I'll Be There." Will she be able to get away with releasing this version as a single? John Mayer, who had nothing to do with Jackson, performed a mostly instrumental version of "Human Nature." Jennifer Hudson belted out "Will You Be There," which ended with a haunting use of a recording of Jackson's own voice. This and Stevie Wonder's performance of "I Never Dreamed You'd Leave in Summer" and "They Won't Go When I Go" might be among the program's artistic highlights. The Rev. Al Sharpton's short eulogy proclaimed that Jackson had broken the color barrier, paving the way for Oprah Winfrey's and Barack Obama's success and said, "I want his children to know—wasn't nothing strange about your daddy. It was strange what your daddy had to deal with." The Rev. 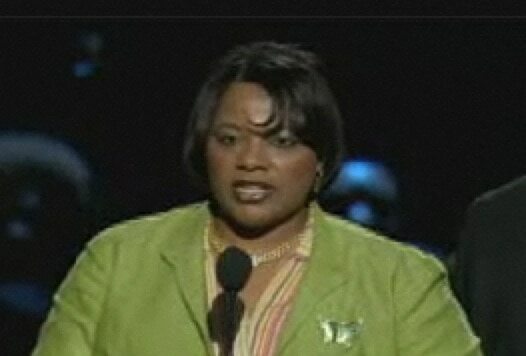 Bernice King—daughter of Martin Luther King Jr. and an avowed foe of marriage equality—spoke alongside her brother Martin Luther King III at the memorial, focusing on the healing power of his music when her mother, Coretta Scott King, was in ill health. 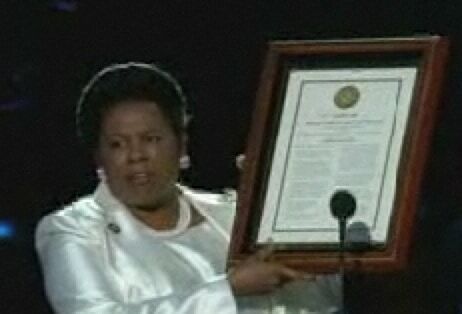 Gay-friendly Rep. Sheila Jackson Lee (D-Texas), stating she represented the House in appearing and expressing her condolences and promoting a bill to recognize Michael Jackson's humanitarian contributions, strongly made the point that everyone in this country is innocent until proven guilty, an unusual reference to legal controversies that dogged Jackson. 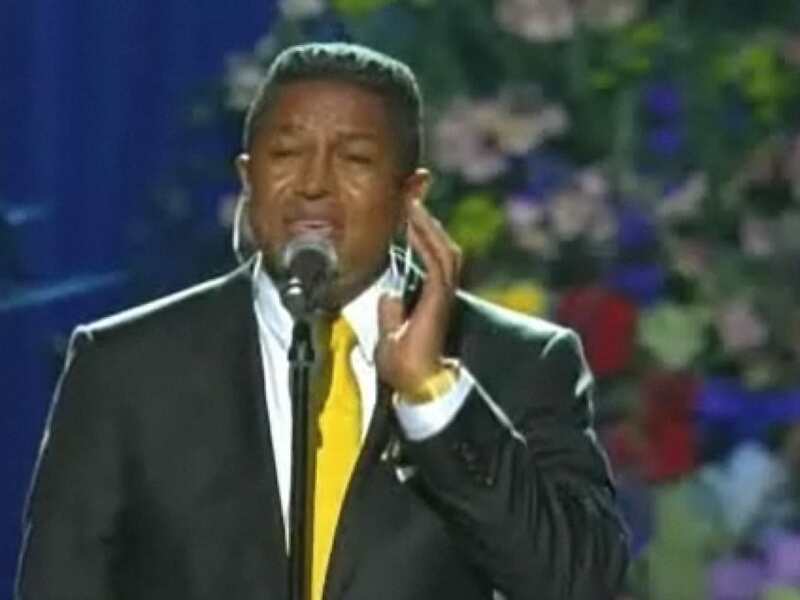 Following an alternately raw, sad and funny remembrance by Brooke Shields, Jermaine Jackson delivered a surprisingly touching take on Charlie Chaplin's "Smile," which was covered by his brother in 1995. 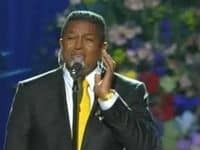 Usher offered up his version of the prophetic "Gone Too Soon." Director and collaborator Kenny Ortega presented a (maudlin, if I may) performance of "We Are the World" from the This Is It comeback show as performed by the show's troupe. (A blonde, white female sang Michael Jackson's part from the original song.) As the song progressed, Smokey Robinson (who'd spoken of his respect and affection for Jackson), sister LaToya and other celebrities joined in…as did his grieving children. The final number in the concert memorial was "Heal the World," complete with another stageful of children. 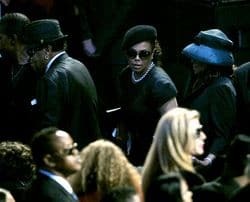 The moment everyone will be talking about: Jackson's emotional 11-year-old daughter closed the service by saying, "I just wanted to say, ever since I was born, Daddy has been the best father you could ever imagine…and I just wanted to say I love him so much," before burying her face in Aunt Janet's arms. 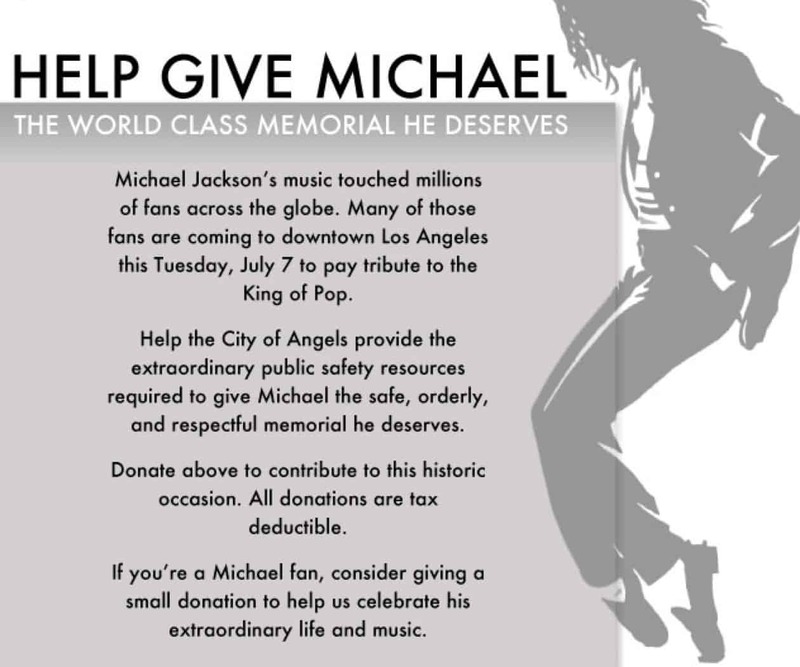 Los Angeles is asking citizens to donate money to "help give Michael the world class memorial he deserves."